I spent some time last week trying to keep up with what was happening in Austin Texas at SxSWedu and Atlanta Georgia with SIGCSE by watching Twitter. The good news is that I’m less upset about missing SxSWedu than I was before. On the other hand I regret missing SIGCSE even more. Oh well, win some lose some. 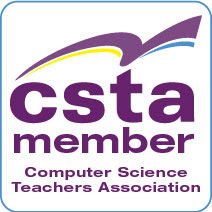 At least I have ISTE (also in Atlanta) and the CSTA conference to look forward to this summer. Maybe I’ll see some of the people who follow my blog at one of those conferences. I hope so. As usual I also managed to collect some interesting links to share. In a post called How hard is programming? Garth Flint breaks down a simple programming assignment and explains just why it is hard for beginners. Great explanation! HP CodeWars 2014 is one of the really big high school programming competitions. It’s now held in several venues. The team has made available the solutions, datasets, stats, and scores from all sites are posted. 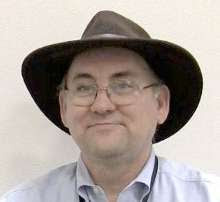 Eugene Wallingford frequently posts some great advice on his blog. Take Small Steps has some really useful advice for programmers. I try to teach this to my students but sometimes it is a tough sell. Accessible yoga for the blind using Kinect Pretty cool! Den Delimarsky ‏@DennisCode graduates from college soon and will take a fulltime job at Microsoft. Recently he wrote a post looking back on his undergrad years: To the Incoming (and Maybe Current) Computer Science Majors that has a lot of good advice for future university students. Experts share their views on the "Year of Code" campaign and the best ways to teach children to code. CS Teaching Tips and on Twitter @CSTeachingTips Looks interesting. It’s brand new so I’m going to be keeping an eye on it. You can find non paying internships or you can study some computer science and find a few good paying internships. Read about some of the top paying internships out there.